Australia has a traumatic history with asbestos. To this day we are still dealing with its insidious presence in Australian homes, workspaces and public buildings. Asbestos went from being the ‘miracle fibre of the 20th century’ to ‘devil dust’ that devastated thousands of lives. The second highest rate of Mesothelioma deaths is in Australia – Mesothelioma is a type of cancer caused my inhaling or ingesting asbestos. Asbestos was first used in Australian infrastructure in the 1920s. Around the same time Doctors started documenting the negative health effects of asbestos, unfortunately, this vital research would be ignored and buried by the asbestos industry for several decades. While Industry higher-ups knew about the risk being exposed to asbestos they did not warn workers. Over time these works would develop terrible lung diseases, or cancer. While big asbestos mines (owned by companies like James Hardie Industries) profited, more and more workers were exposed to dangerous amounts of asbestos. Until, the amount of asbestos related illness became impossible to ignore. The 70s marked the peak of the asbestos industry as well as its rapid decline. It was during this time the public began to associate asbestos with cancer and lung diseases. The increase of compensation claims, union’s fighting for safer workplaces and public disapproval meant asbestos companies could no longer ignore the health risks. Laws prohibiting asbestos began trickling in. By the 80s around 1 in 3 homes were made using asbestos materials. It can take several decades before asbestos related diseases start to show, so there are still people today suffering from exposure. Bans on asbestos come in around in the 80s and mines were abandoned. 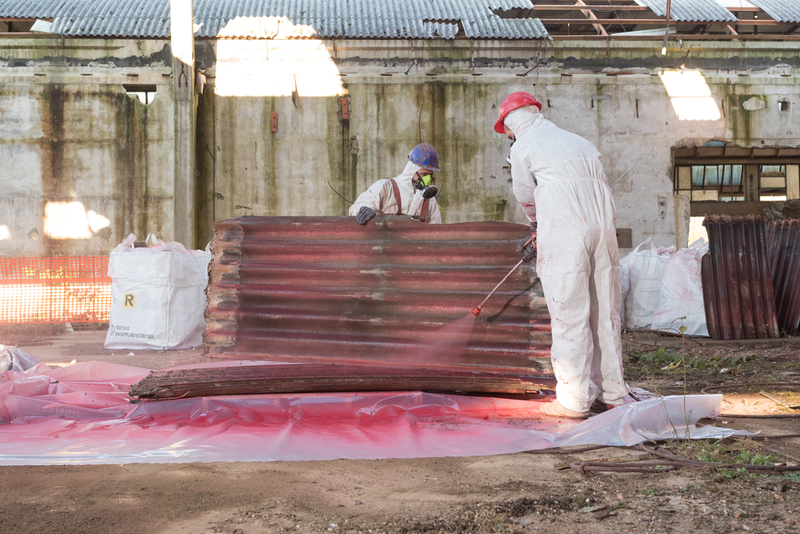 Despite the clear health risk, a full asbestos ban didn’t come into effect until 2003. There are still many buildings still standing from before the asbestos ban and can be extremely dangerous to demolish. Even a building constructed in the 90s may have asbestos. If demolished without the proper precaution you risk exposing asbestos. Apha Environmental offer professional asbestos testing services to Melbourne based businesses, local government, and homeowners. To learn more about our capabilities, please don’t hesitate to get in touch with us by calling 1300 039 181.